Just graduated in 1999 I started off as an employee of Amsterdam based design studio Springtime (which at that time was still called Gijs). The first project I participated on was the ‘Roodrunner’ for TPG post. In this project I was responsible for 3D modelling, engineering and production supervision. 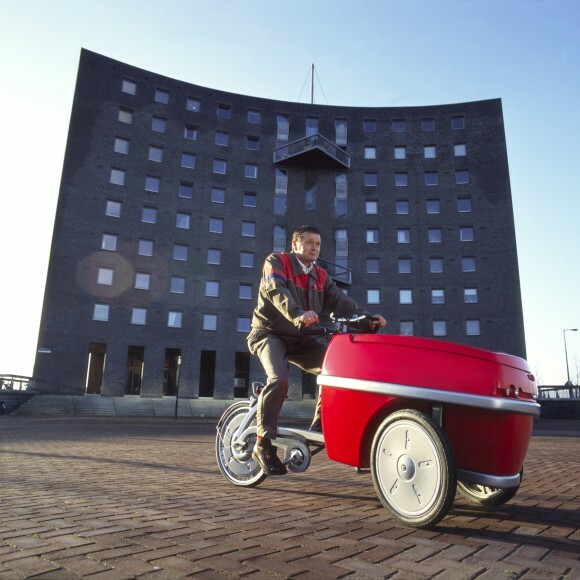 The Roodrunner is a modern interpretation of a dutch classic: a three wheeled cargo trike. 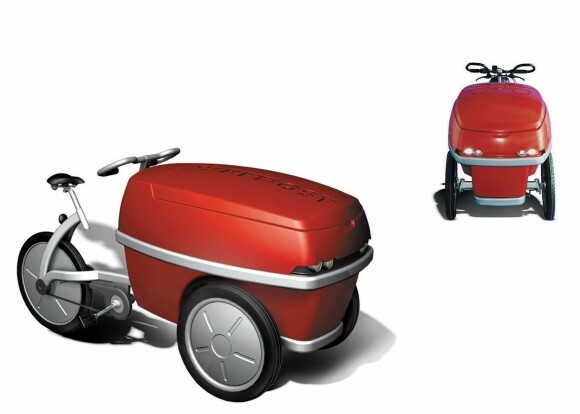 Modern in the sense that it had an electric motor in the rear wheel (power assist), a light weight frame, a thermoformed container and Ackermann-steering.